Stoic Week is a free online course run once per year by Modern Stoicism, which will introduce you to a new aspect of Stoic theory and practice each day. You can enroll now for Stoic Week 2018, which will officially begin on Monday 1st October this year. Everyone is welcome to take part and it’s completely free of charge. Last year seven thousand people enrolled so don’t miss out! Stoic Week is a seven day introduction to Stoic theory and practice, applied to modern living. It’s been designed by Modern Stoicism, a multi-disciplinary team of academic philosophers, classicists, psychologists, and cognitive therapists, including some well-known authors in the field. Enroll now and you’ll have access to the preliminary materials in preparation for the official start of the course on Monday 1st October, which will be accompanied by a live webinar at 9pm BST. (You’ll be able to watch a recording if you can’t make it along.) If you want to attend please follow the link below to set a reminder on YouTube, where you can also subscribe to our channel. Stoic Week is now in its seventh year. 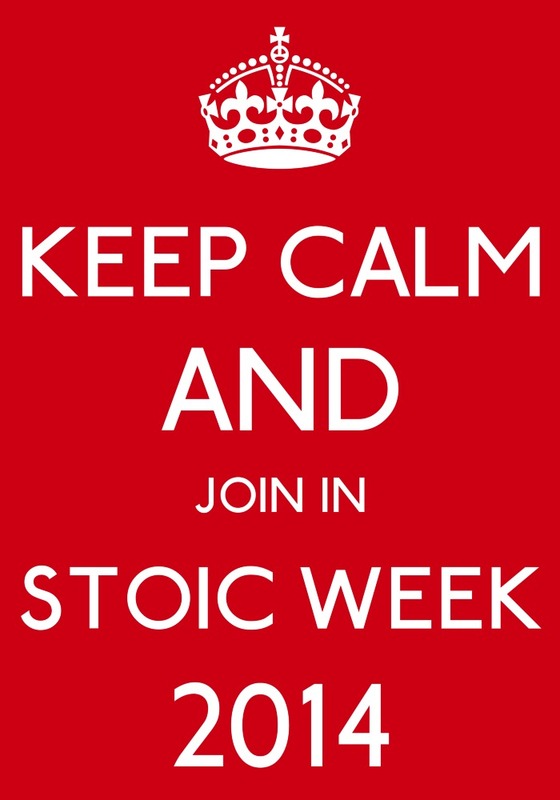 See our main website for more information on the history of Stoic Week. Stoic Week 2016 starts on October 17th. Stoic Week is a completely free-of-charge, international, online event, open to everyone, including complete newcomers to the subject. See our Official Press Release for more information. Stoic Week 2014: The Results! – Significant improvements in well-being as evaluated by changes in well-being using three validated scales used. A week’s participation in Stoic Week resulted in a 16% average increase in satisfaction with life, a 10% increase in flourishing, an 11% increase in positive emotions and a 16% reduction in negative emotions. – Significant increases in the presence of Stoic attitudes (12%) and behaviours (15%) as measured by the Stoic Attitudes and Behaviours Scale (SABS). – A significant positive relationship between Stoic attitudes and behaviours and each of the measures of well-being. The above three findings taken together give us reason for cautious confidence for positing the existence of a causal link between adopting Stoic attitudes and behaviours (“being more Stoic”) and improvements in well-being, although further research is required to confirm this. SABS Item 19 (“Upsetting thought just impression”) is most associated with positive emotion and satisfaction with life whereas SABS item 17 (“Stoic Mindfulness”) is the element of Stoicism most associated with flourishing. Author Modern StoicismPosted on February 9, 2015 Categories UncategorisedTags findings, results, science, Stoic Week, study, well-being7 Comments on Stoic Week 2014: The Results! A list of the new audio recordings for Stoic Week 2013 with links to download MP3 files or listen online. You can download from the links below for your MP3 players or listen online by clicking through. Some people have asked for more guidance on when and how to use the audio recordings. All recordings are in MP3 format and can be downloaded, usually by right-clicking on the link and selecting “Save as…”, although this depends on the browser you’re using. People using iPhones or other Apple devices may have to import the MP3 files to their iTunes library to play them on their devices, unless they’re using a third-party app. MP3 files are playable on almost any device, though. You’ll find it much easier to use these recordings on headphones. These are longer, optional recordings starting with some explanation, followed by an exercise. If you want to you can listen to these the first time you do the daily morning and evening routines, to help give yourself more structure, but don’t worry if you don’t have time, just use the shorter recordings, or do the morning and evening routines yourself, by following the instructions in the Handbook. We recommend listening to these the first time you do the morning and evening meditation, to help guide you and provide some structure to the exercise. They’re quite brief but will help by providing an example of how to approach these daily exercises. This is optional but many people have reported finding it useful and some participants, previously, listened to it every day. It contains some relaxation exercises and scripted Stoic affirmations, similar to the attitudes in SABS. If you don’t have much time, you may just want to listen to this on the first or second day of Stoic Week. This is a mainly verbal contemplative exercise. This is a longer and more challenging exercise. It’s intended for use on Saturday (Day 6 of Stoic Week), which is entitled “Preparation for Adversity”, and based around the same concept. This is a more visual contemplative exercise. Our previous feedback suggested this was among the most popular exercises. It’s a bit longer than some of the others but not very demanding. This is designed to be done on Sunday (Day 7 of Stoic Week), which is entitled “The View from Above” and based around the same concept. This is a much more visual contemplative exercise. 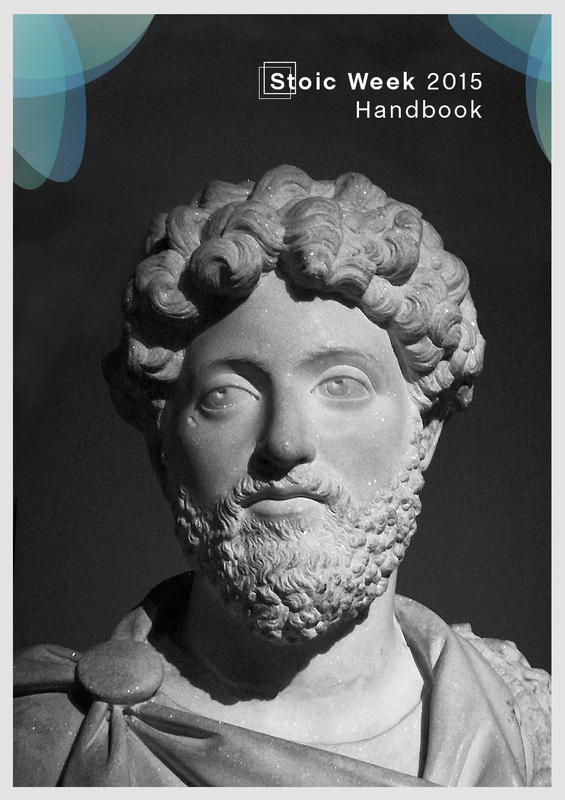 Download or browse the PDF version of the Stoic Week 2013 Handbook free online.